We’re BACK… And We’re Having a HUGE LAST CHANCE Sale! We’re back (a little earlier than anticipated) from our epic roadtrip. We covered 5,239km (3,274 miles) and saw a LOT of our gorgeous state. If you want to peek at our trip, just pop over and have a look at my personal instagram (@JessVanDen) where I shared some photos. In other news… it’s time to finally do something we’ve been talking about together for months now – a clean-out of our available designs. Over the years, I’ve tried new designs, new collections, and new materials. I have kept the majority of those designs available… until now. It’s time to clarify. To tighten up our range – to create a leaner, cleaner, more consistent Epheriell collection. To that end, we’re having a MASSIVE LAST CHANCE sale! 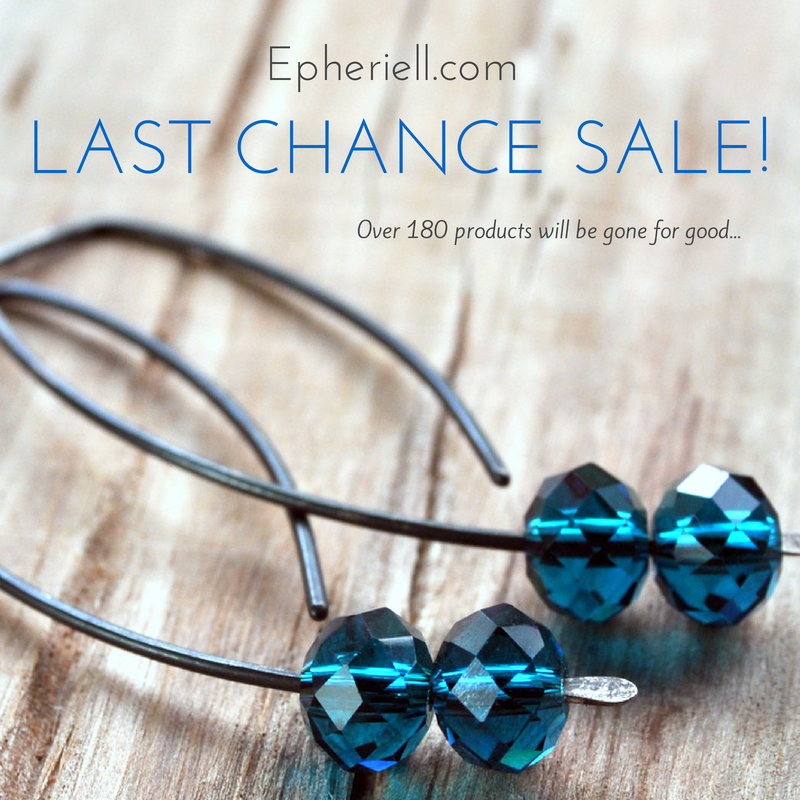 Over 180 products have been added to the LAST CHANCE category here on Epheriell.com. You have one week to purchase any of the items in this category before they’re removed and gone for good. Some of these designs I just don’t like so much any more. Some of them have never sold well. Many of them I still love, but are subject to the mercy of a design decision I’ve made – which is to only use semi-precious and precious gemstones and stones in my designs from here on in. So, have a browse through our LAST CHANCE section, and make sure to buy NOW if there’s something you want, because come Monday August 4th, all of those products will be removed from the online store, and will never return in their current form. Removing such a large swathe of designs is a hard thing to do – but it’s also freeing. It makes the online shop cleaner, more focussed, and frees me up to keep designing work that fits with the Epheriell aesthetic – minimalist, modern, eco sterling silver jewellery.